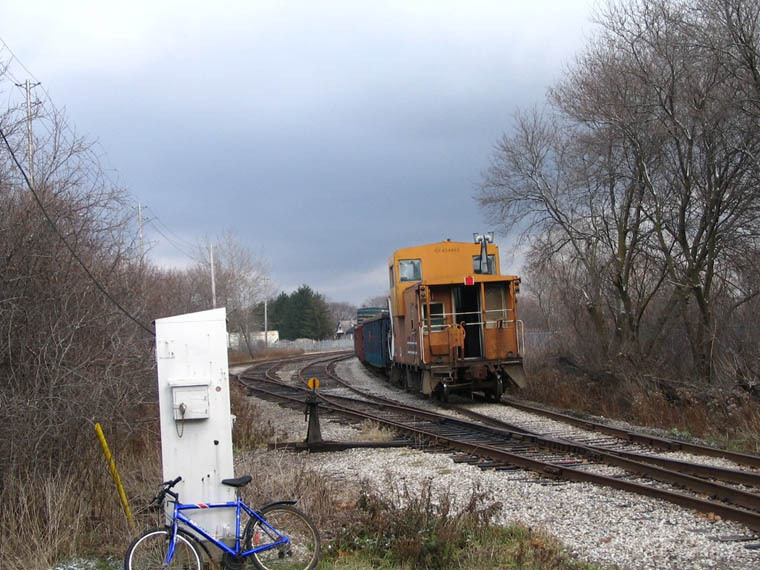 Southbound train stops at the Lower Yard in Guelph to switch PDI terminal. South end of Lower Yard looking north just above Victoria Road. Train sitting on the main line is almost hidden by weeds. 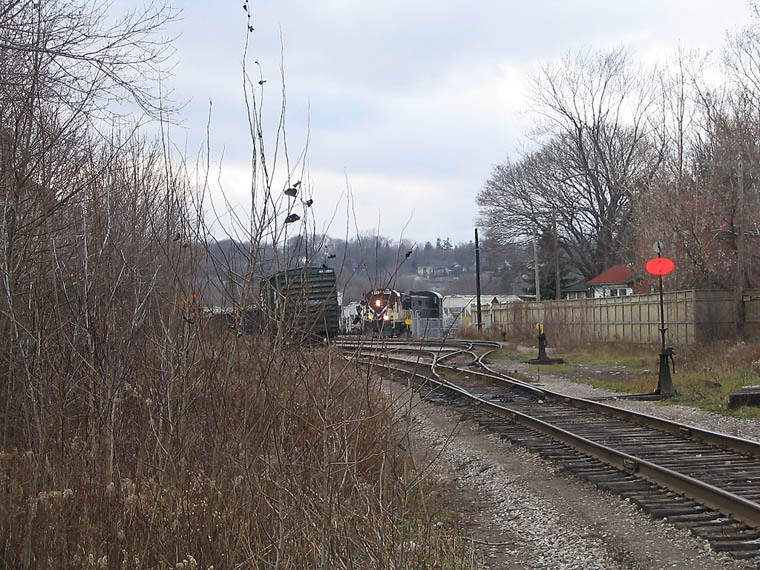 Engines are switching the PDI main transload facility on Elizabeth Street. Switch showing red is at Mileage 30.22.